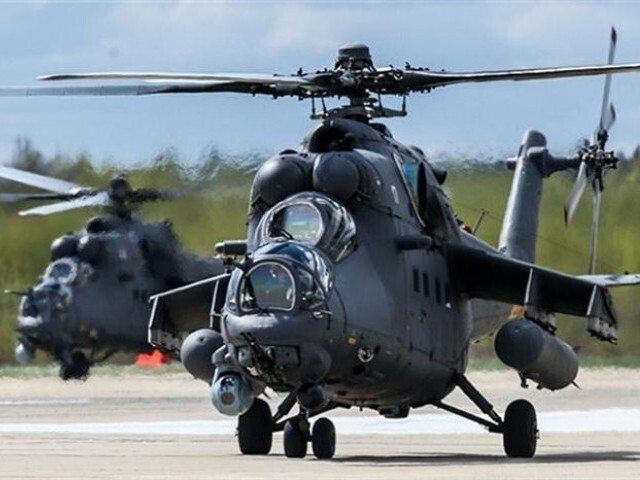 The Pakistan Army Aviation Corps has begun receiving the Mi-35 assault helicopters it ordered from Russia back in 2015, according to a report in The Diplomat. Citing an earlier article that appeared on Quwa Defense News and Analysis Group, the Tokyo-based online international news magazine reported that a video appeared to have surfaced on the social media which shows a Mi-35 helicopter draped in the colours of the Pakistan Armed Forces flying somewhere in the country. The Diplomat also stated that an import-export log appeared to record the delivery of helicopter-related equipment, including ammunition, from Russian state-owned defense exporter Rosoboronexport to the Pakistan Army. Last year, it was reported that Russia had handed over four Mi-35M helicopters to Pakistan Army Aviation Corps. However, the Japanese publication noted that the delivery of these choppers likely took place in Russia, and the actual transfer of gunships took place later. “The contract was signed, we received all four cars [Mi-35Ms] and now we get new equipment,” Brigadier General Waheed Mumtaz of Pakistan’s Defense Export Promotion Organisation said in Moscow at the time. Islamabad and Moscow concluded the $153 million helicopter deal during then-chief of army staff General (retd) Raheel Sharif’s visit to Russia in June 2016. A preliminary contract was signed at the Pakistan Army General Headquarters in Rawalpindi in August 2015. The Mi-35M attack helicopter, the export version of the Mi-24 gunship, was developed by the Mil Moscow Helicopter Plant and has been produced in Russia since 2005. Next to serving in the Russian military, the aircraft has been exported to Azerbaijan, Brazil, Iraq, and Venezuela. The helicopter can be deployed for a host of different missions, including transporting up to eight paratroopers and carrying military supplies weighing up to 1,500 kg internally and 2,400 kg externally. The Mi-35M is armed with a mounted twin-barrel GSh-23V 23 millimeter cannon and 80 and 120 millimeter rockets, as well as anti-tank guided missiles. The Pakistan military has expressed an interested in procuring up to 20 new Mi-35M helicopters in years ahead. “Given the cost of building the necessary Mi-35M logistics and maintenance infrastructure, expanding the fleet beyond four aircraft would financially be a sound decision for the Pakistani military,” the author of the report in The Diplomat underlined.